The first-ever ASEAN summit in Australia has ended. Southeast Asian nations have called on North Korea to end its nuclear program and taken a firm stance against protectionism in view of Donald Trump's trade policies. Leaders of Southeast Asian nations concluded a three-day summit in the eastern Australian city of Sydney on Sunday, issuing a number of joint declarations on topics ranging from security to trade. The Association of Southeast Asian Nations (ASEAN) called for an end to North Korea's controversial nuclear program and for the nonmilitarization of the contested waters of the South China Sea. Australian Prime Minister Malcolm Turnbull said ASEAN and Australia (which is not a member state) had affirmed their commitment to strongly respond to the "grave concerns we share about North Korea's reckless and illegal nuclear missile programs." The ASEAN joint statement urged Pyongyang to "immediately and fully comply with its obligations under all relevant United Nations Security Council resolutions." Read more: ASEAN 50 years on: Success or failure? The Association of Southeast Asian Nations (ASEAN) celebrated its 50th anniversary last year. Since its founding, the bloc has emerged as a beacon of unity in Southeast Asia, although it has often struggled to find consensus among members over key policy issues affecting the region's politics, security and the economy, among other things. The Sultanate of Brunei, located on the north coast of the island of Borneo, is one of the richest nations in the world. The small, oil-rich country is governed by its sultan as an absolute Muslim monarchy. Islam is the official religion in Brunei, with Sunni Muslims making up about 70 percent of the population. The sultan also sees himself as the main custodian of religious beliefs in Brunei. Cambodia joined the ASEAN grouping in 1999, and during the past ten years, the Cambodian economy has grown by at least 7 percent year after year. That makes it one of the fastest growing economies in the world. But the unequal distribution of wealth and income is a problem, with many of the nation's around 16-million strong population stuck in abject poverty, especially in rural areas. Indonesia plays a salient role in ASEAN due to its status as the bloc's most populous member state as well as the world's most populous Muslim nation, with over 250 million inhabitants. The ASEAN secretariat is also based in the country's capital, Jakarta. Indonesia, which comprises around 17,000 islands, is the world's largest archipelago nation and boasts Southeast Asia's biggest economy. Laos became a member of the ASEAN bloc in 1997. The country has a population of around 6.5 million. Around 80 percent of the inhabitants of the poor, landlocked and isolated communist country depend upon farming for their livelihood. That's how they subsist and feed their families. Laos has an increasingly close relationship with China. A founding member of ASEAN, Malaysia has the club's third-largest economy. 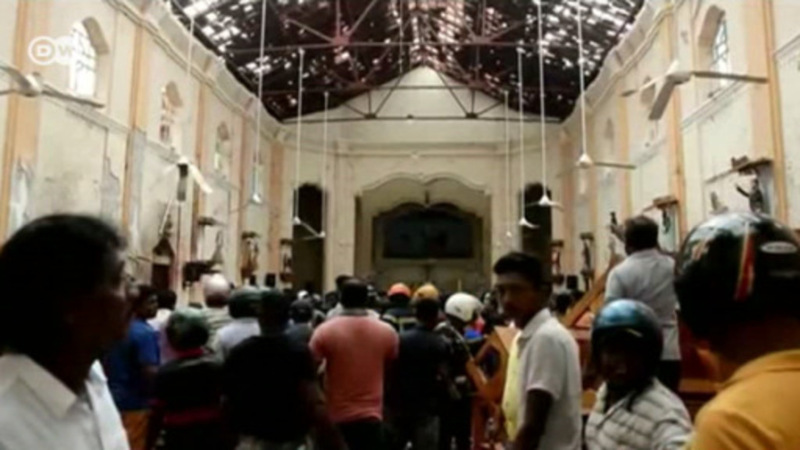 Religion and politics are sensitive issues in Malaysian politics, with the deadly sectarian riots of 1969 often cited as the need to maintain ethnic harmony in the country. Over 60 percent of Malaysia's 30 million inhabitants are Muslim, with the rest adhering to Buddhism, Christianity, Hinduism, and other religions. Myanmar, which joined the club in 1997, was ruled for decades by a military junta that left it impoverished. The party of Aung San Suu Kyi, the nation's democracy icon, won the first fully free elections for generations, held in 2015. But authorities are struggling to tackle a powerful Buddhist nationalist movement that has grown in strength in recent years and favors the former military rulers. The Philippines, an archipelago nation consisting of thousands of islands, is one of the most disaster-prone areas in the world. The country has has a population of over 100 million, and one of the fastest expanding economies. But it has suffered major environmental degradation in recent years due to reasons such as mismanagement of resources, deforestation and high population growth. The wealthy city-state has been a member of ASEAN since the bloc's founding in 1967. The country has a thriving economy, which has grown at a rapid pace since independence, underpinned by its position as a global financial hub. Densely populated Singapore has a multi-racial citizenry as well as tough laws against protests and curbs on press freedom. Thailand's politics have been characterized by a long series of coups, with the nation's military frequently ousting democratically elected governments. The 2014 coup marked the 12th successful military takeover since Thailand embraced parliamentary democracy 85 years ago. The country boasts Southeast Asia's second-biggest economy and the reputation of being an attractive tourist destination. Vietnam has been ruled by a one-party communist state since the end of the Vietnam War in 1975. Since 1986, Vietnam has introduced sweeping market reforms to boost growth and development. But the ruling party doesn't permit criticism and the country is ranked among the worst for press freedom. Vietnam joined ASEAN in 1995. ASEAN leaders also expressed their concerns over China's growing assertiveness in the South China Sea, which is contested by a number of nations in the region. Vietnam remains the most vocal opponent of Beijing's military installations and construction of artificial islands in the South China Sea, while the Philippines appeared to have changed its position under its China-friendly president, Rodrigo Duterte. Australia, which was hosting an ASEAN summit for the first time, and other participants reaffirmed "the importance of maintaining and promoting peace, stability, maritime safety and security, freedom of navigation and overflight in the region," without naming China. ASEAN leaders said they wanted to see an "early conclusion of an effective code of conduct in the South China Sea." "We will uphold our commitment to the rules-based order and international law in the region, including the South China Sea," said Turnbull. The ASEAN summit also tackled the US position on international trade, with Singaporean Prime Minister Lee Hsien Loong saying the grouping believed that "a free, open and rules-based multilateral trading system is key to the region's growth and prosperity." The statement follows US President Donald Trump's March 7 announcement of import tariffs to protect domestic steel and aluminum producers on national security grounds. Lee and Turnbull urged ASEAN to put its weight behind the Regional Comprehensive Economic Partnership, a China-backed alternative to the Trans-Pacific Partnership (TPP) trade pact. Trump withdrew the US from the TPP last year. "If we secure a good agreement, this would be, as one of our colleagues said this morning, an antithesis of protectionism. It would ensure, on the back of the TPP-11, that the Indo-Pacific continues to be the fulcrum of open and free trade," Turnbull underlined. The Southeast Asian countries also urged Myanmar to protect Rohingya Muslims, who have been fleeing to Bangladesh and other neighboring countries since violent clashes broke out in Myanmar's Rakhine state last year. ASEAN countries agreed to work closely to provide humanitarian assistance to Rohingya refugees. The summit, however, failed to condemn member state Myanmar. "We discussed the situation in Rakhine state at considerable length today," Turnbull said at a closing press conference. "[Myanmar leader] Aung San Suu Kyi addressed the matter comprehensively at some considerable length herself," he added. "It's a very complex problem … Everyone seeks to end the suffering that has been occasioned by the events, the conflict." Singaporean PM Lee said that while the Rohingya crisis was a "concern for all ASEAN countries," the grouping "is not able to intervene to force an outcome." China's premier has hailed progress on an agreement that would "ensure peace and stability" in the strategic sea. Beijing has continued to fill a void as US influence in the region wanes under Donald Trump.